Life has this tendency to get pretty hectic, and I often catch myself posting memos to Twitter with little to-do’s and notes-to-self just to save time. These short tweets serve as small reminders for tasks that aren’t currently priority, but that I hope to accomplish in the future. Given how polluted with random updates my Twitter stream tends to look by the end of the day however, these helpful prompts usually serve as nothing more than a brief blip on my radar before vanishing into the black hole that is the Twitterverse. 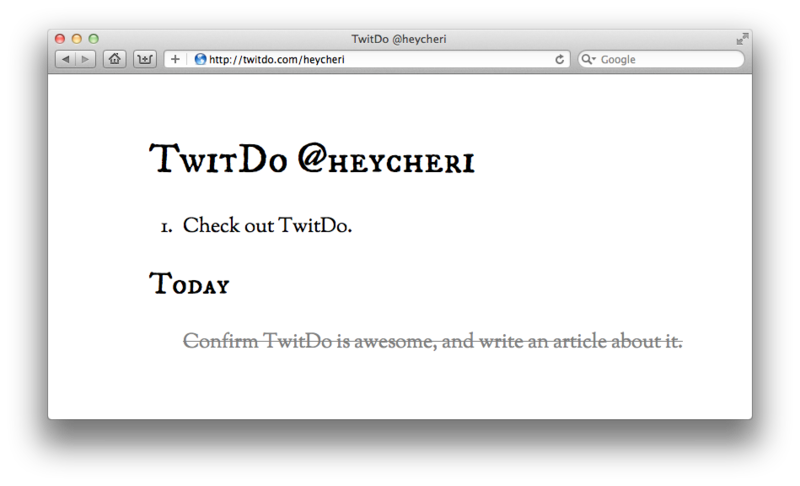 With that in mind, I am delighted to share this fantastic and easy-to-use productivity tool with our readers: TwitDo. Rarely do I get excited about a social app that isn’t fully-featured or smothered in gorgeous design work, but after checking out TwitDo’s simple user interface, my mind has been changed. Much like Twitter, TwitDo’s UI is clean and simple, aiming to meet one very specific need. That is, it takes our to-do tweets and crafts an easy list for us to reference after we’ve finally had a chance to settle down from the day’s nonsense. 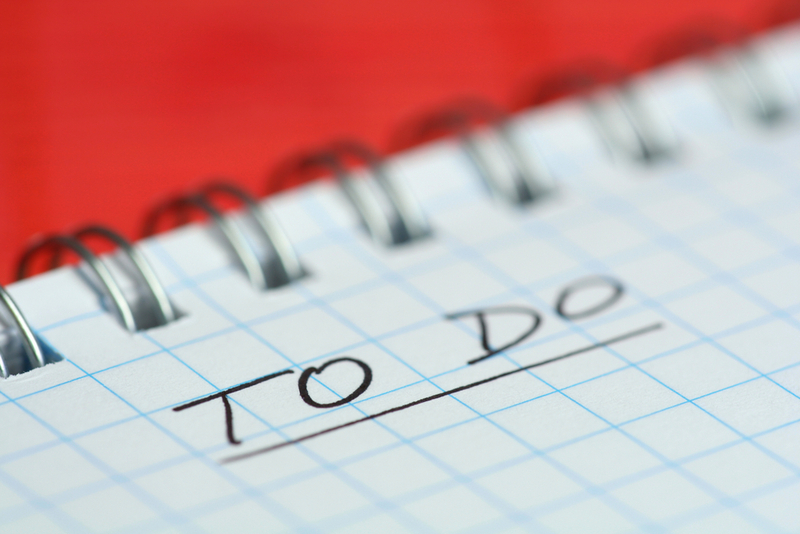 Adding items to your to-do list on TwitDo couldn’t get any easier. Here are some straight-forward rules to get your Twitter-based productivity list started. Your memo will then be posted at http://www.twitdo.com/yourusername in a numerical and easy-to-read list. Bam. Doesn’t get any more effortless than that. The best part is that you don’t need to download any special apps or browser extensions to use TwitDo as it is completely web-based. You also don’t need to register or log in just to access your personal page, so again, its ease-of-use is emphasized. Check out TwitDo in action. 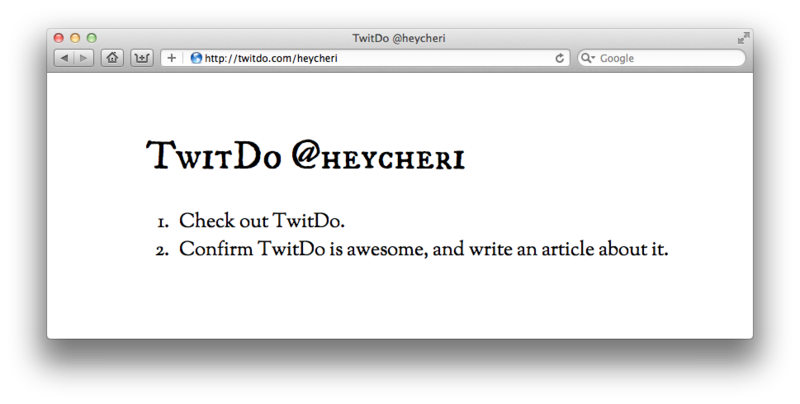 I took TwitDo for a test run by tweeting “#todo Check out TwitDo” and “#todo Confirm Twitdo is awesome and write an article about it.” Here’s what it looks like after loading up my own personalized TwitDo page. Three big pluses there: 1) TwitDo uses a large and readable font (and looks great on my iPhone browser, by the way). 2) The list is numbered in the order that I tweeted out my to-dos. And 3) My TwitDo list is branded with my Twitter screen name. So far so good. To follow up, I tweeted “#done confirm”. Here’s how that looks on TwitDo. You’ll notice that “Check out TwitDo” has vanished, while my already-accomplished task has remained. A small annoyance, sure, but again, the tool is so simple to use that being unable to undo an accomplished task is hardly something to crow about. That being said, TwitDo looks like a winner to me and I’ll definitely be working it into my rather well-stocked social tool arsenal. Sure. TwitDo is simple and clean, but I’d be lying if I said it was perfect. You obviously need a Twitter account to use TwitDo, but by tweeting out hashtags every time you want to add something to your TwitDo list, you will effectively be spamming your followers with babble they might not care to see. You can solve the issue above by creating a Twitter account just for TwitDo, but again, that’s too much of a hassle (not to mention, there are so few desirable Twitter screen names left to claim). 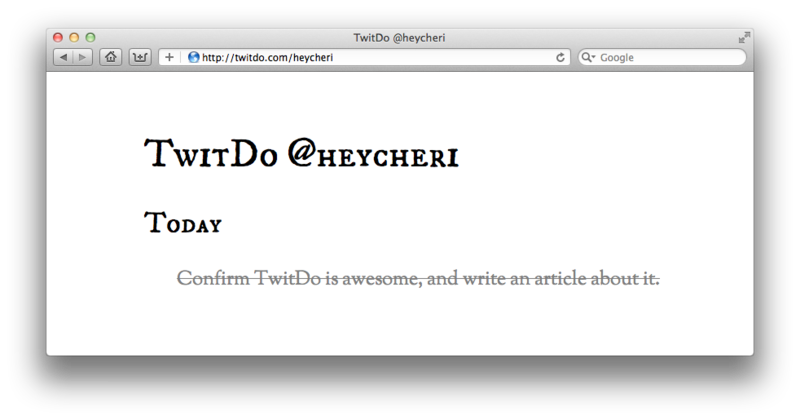 Any hyperlink posted to TwitDo will not be clickable from your actual TwitDo page and remain as plain text. Privacy can be a huge issue for any potential consumer, and with TwitDo, all a stranger needs is access to the Internet and they can easily view my to do list. No thanks. Fortunately, there are similar applications available that also strive to provide an easy-to-use experience but in a more private or robust way. For example, following @timer on Twitter and sending it a direct message with a reminder time along with a task (ex. “d timer 30 buy milk”) will effectively set up an alert notification for you, where at the desired time, @timer will DM you with a reminder. Other similar services include Remember The Milk, Nozbe, and Twittercal. For a quick fix, however (and especially if you’re not too worried about spamming your followers or hiding tasks from the public), TwitDo serves its intended purpose while being free to use and easy to understand. You tell us: Will you be using any of the services above? What other productivity apps or tools are you most fond of?